Scrappy Palace: Paper House Production - Spice Delight Layout! 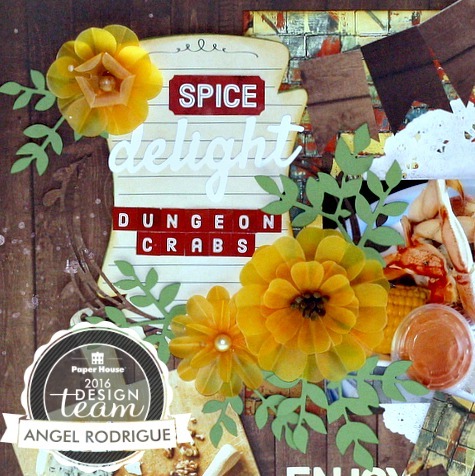 Paper House Production - Spice Delight Layout! 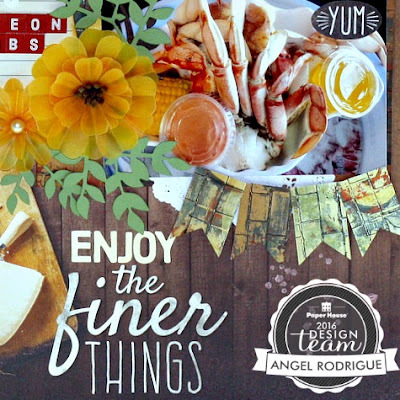 Today I am sharing with you a layout I have created using Paper House Products! I love my Cajun food. Today I made a layout using the Delish paper line to showcase the pleasures we have by living near the gulf. I cut out the tag from the tag sheet, I then added my title using multiple stickers from the cardstock sticker sheet and placed that on top of the cut out tag. I added a few word stickers and even placed one on the photo in the corner. I also used the remaining pieces of my paper to make a banner and added it at the top and bottom of my photo. If you never tried Dungeon Crabs you must try them – everyone needs a little spice in there life Right?